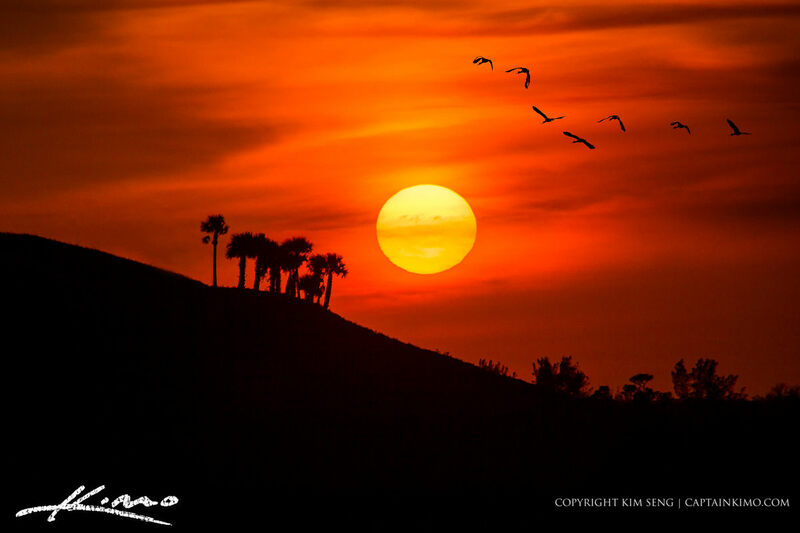 Birds flying into the sunset over the mountains of South Florida. Sunset photo taken at Dyer Park in Palm Beach County the mountain you see is a landfill. And people say Florida doesn’t have any mountains. This photo is a composite I added the birds infor a little creative license.